While still inspecting leaks, a month later, monitoring was showing that the dam was filling at a rate 1000 times faster than anticipated. 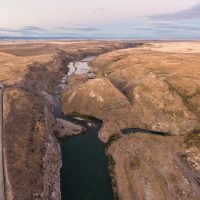 On June 3 and 4, three small leaks were found as the dam was almost at its full capacity with the maximum depth being 240 feet. On Saturday, June 5, a muddy leak appeared. As it grew wider, Crews with bulldozers were sent to plug the leak. At around 11:15, the gaping hole grew to the size of a swimming pool, and swallowed the crew’s equipment. 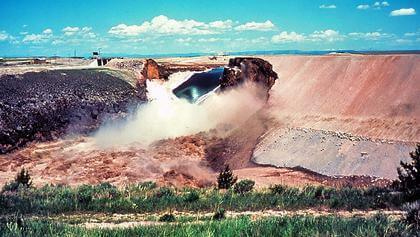 By 11:55, the crest of the dam sagged, and collapsed into the reservoir. 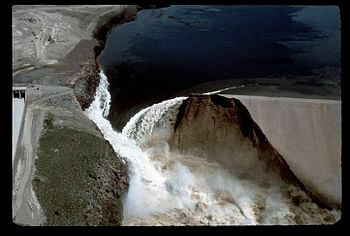 Over 2,000,000 cubic feet per second of sediment filled water drained into the Teton River Canyon. 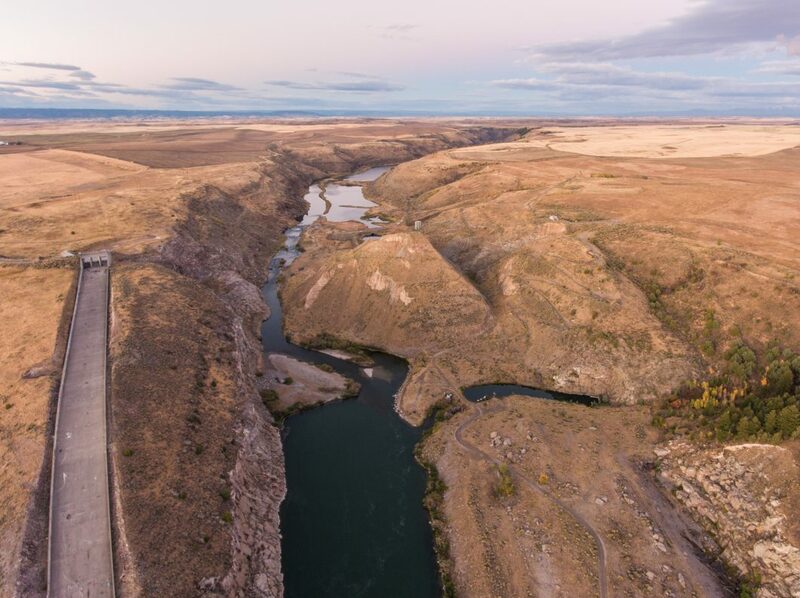 It soon filled the canyon and swallowed the snake river plain. 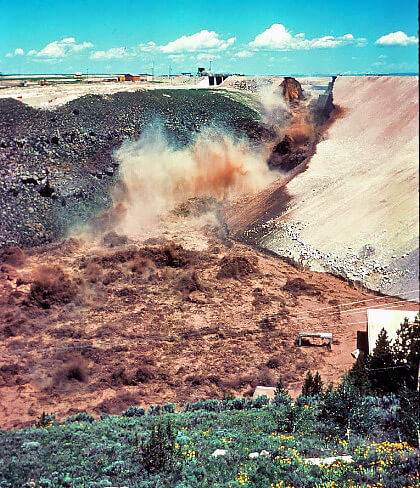 The failure of the dam resulted in the death of 11 people and over 13,000 livestock. 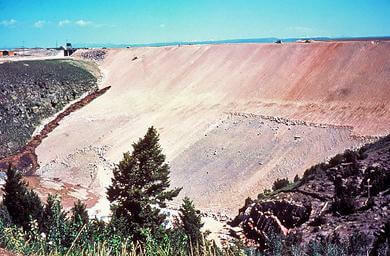 The dam cost $100 million to build, and the federal government paid over $300 million in claims related to its failure. 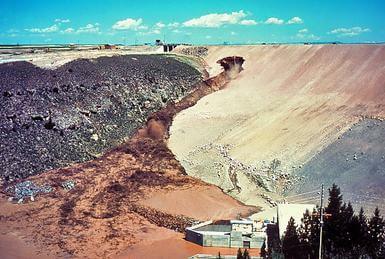 Now, many people go the dam site to see what could have caused so much damage. Whereas, others go to explore the many caves and tunnels that run throughout the dam. On Highway 33, located 3 miles east of Newdale, a sign indicates the turn to the dam site. The viewing area is 1.5 miles north on 1200 East. 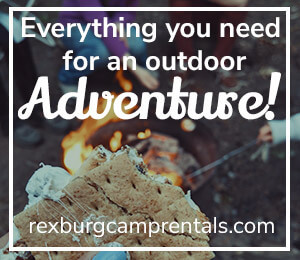 Follow the rough dirt road 1/4 miles further east along the rim of the gorge to the end of the dam itself.